I’ve been looking for a local charity with a cause I can get behind to volunteer with for a while now. Via the black hole that is the internet, I stumbled across the group FoodCycle. The aim of FoodCycle is to work to end food wastage all while providing a community space for the vulnerable and socially isolated (i.e. homeless, elderly) to come and have a hot meal and meet and talk with other people. FoodCycle doesn’t ask for diners to pay for their lunches but they’re more than happy to take a donation from those who are able to give one. Check out their video–it’s really simply and effectively put. I loved the idea and I equally loved the fact that the Wandsworth Hub was nearby with Saturday lunches being served a 10 minute walk from home. So I signed N and I up and last Saturday was our first service. I put us down for kitchen duty which we were both really excited about. We rocked up right on time at 10.30 and met Ash and Akruti along with a few others standing outside of the venue with a load of food donated by local shops. Once we got inside, all of the food had to be weighed–just over 250 kilos of fruit, veg and bread had been given to us! Next we went all MasterChef and designed a three course menu based off of the food we’d been given. I loved this part and everyone was so creative with their ideas. We settled on Aloo Gobi (a potato and cauliflower Indian dish) for the starter, an Okra/Aubergine Gumbo with green beans on the side for the main and for dessert we had two kinds of crumble–apple/pear and peach. And then the cooking commenced. It was a bit daunting not knowing the amount of people we’d be cooking for but we put the radio on, mugs of tea were distributed and we got cracking. I got potato duty (my Granddad would be so proud) and peeled and diced up potatoes for the Aloo Gobi. N was doing cauliflower and everyone else got stuck in with peppers, onions, pears, apples and so on. It was a busy little hive in our kitchen! At 1PM, people started showing up for food. We were slightly behind, but the food was well worth the wait. The Aloo Gobi was being snapped up and praised highly (props to me and N) and people couldn’t get enough of the gumbo with many asking for seconds. The crumble also went just as quick and, before we knew it, we’d run out of food. Akruti managed to get a photo of the gumbo but food was going so fast we didn’t get photos of the other dishes! We served 47 people–one of the busier services they’ve seen recently. 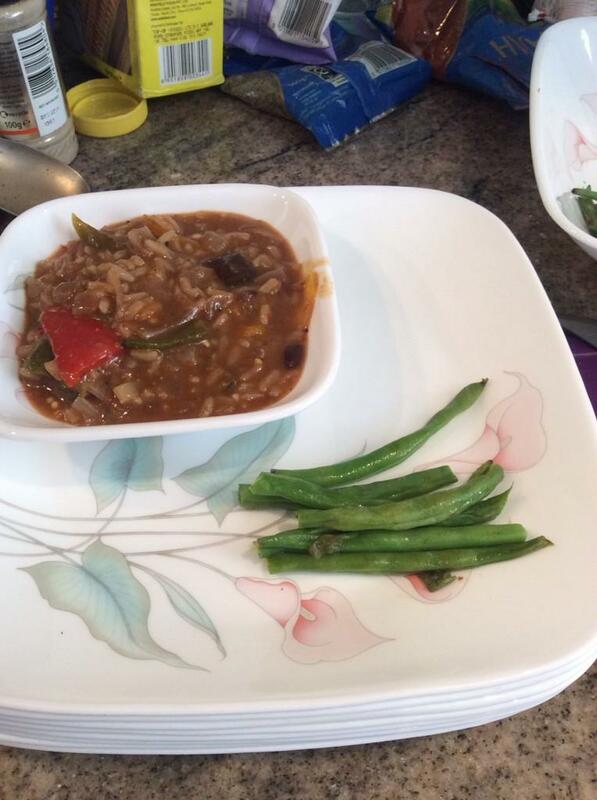 Any extra food was put out for guests to take and what food couldn’t be used was given over to someone for composting purposes. 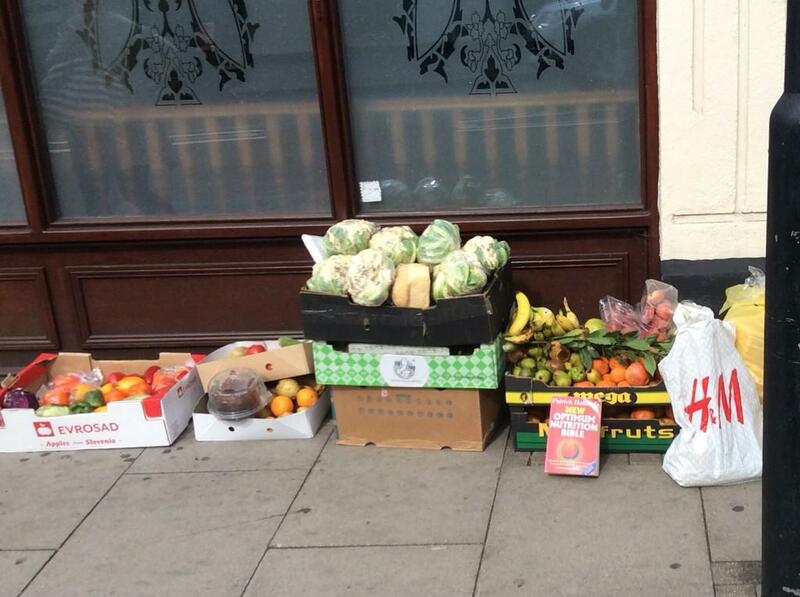 No food went to waste–brilliant! 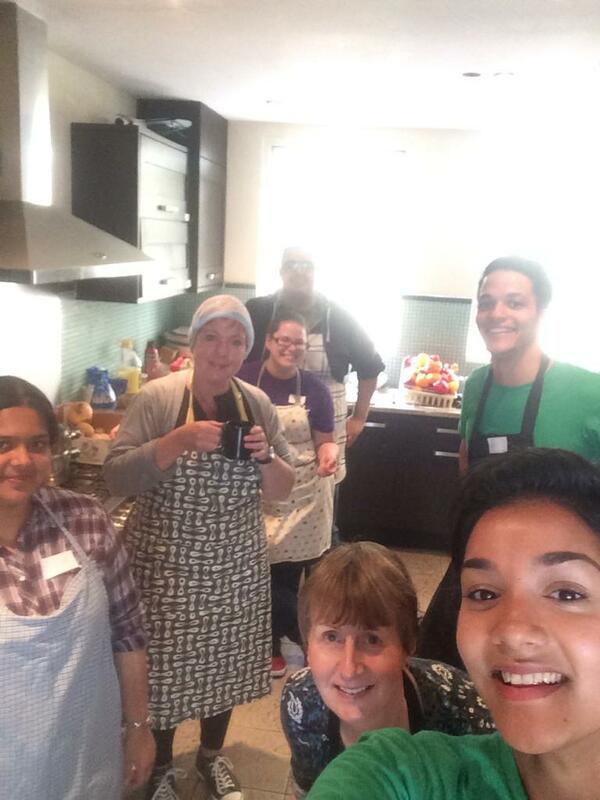 All in all, FoodCycle kitchen duty was a brilliant way to spend a Saturday morning/afternoon. I met some really brilliant people who I can’t wait to work with again. It was hard work, don’t get me wrong, but it was fun, rewarding and everyone was so friendly and happy to be there. N and I will definitely be going back… I’ve already signed us up for the last Saturday in September! 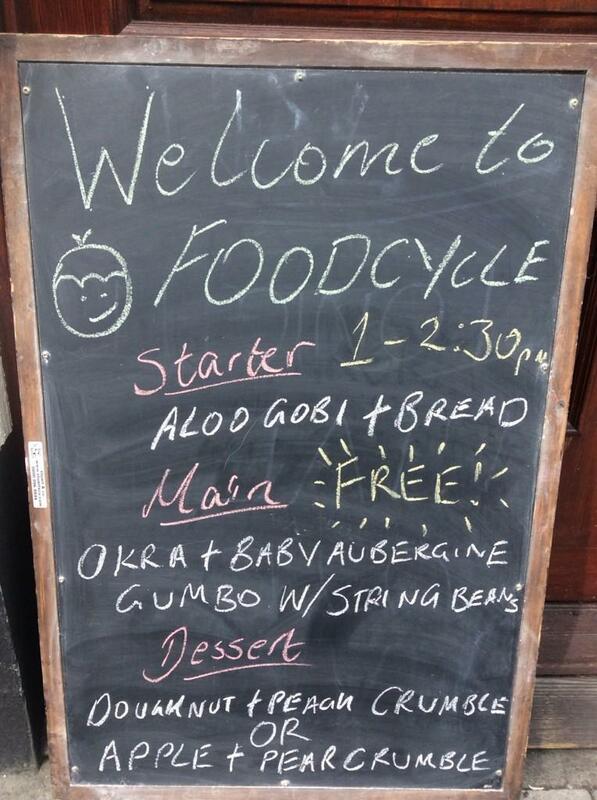 Looks like we’ll be doing FoodCycle on a monthly basis! Thank you! I can’t wait to do it again later this month!